The house we live in came with a good sized yard, which we love! However, when we moved here, we had no idea how to grow grass. It sounds simple, but really, it’s not that easy. 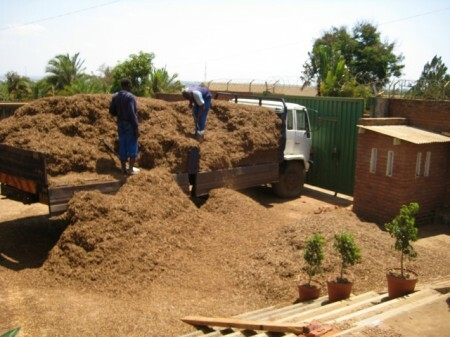 We’d never had grass of our own to grow before, never mind trying to grow it in a hot, dry African country. But we learned a trick: tobacco stem. Two of Malawi’s biggest exports are tea and tobacco, likely leftovers from when the British were here. The leaves are the part of the tobacco that goes into cigarettes, so that’s the part the farmers are interested in. The leftovers – the stem – is just by-product, but someone made the brilliant discovery that tobacco stem not only adds nutrients back into the soil, it also works as mulch, helping the soil retain moisture. Someday someone will wise-up and actually sell the stuff, but for now, it’s free. You just have to pay for the delivery. We got a lot. I mean, it was free, right?! And thankfully it doesn’t smell like tobacco. It just smells like dirt and dust. 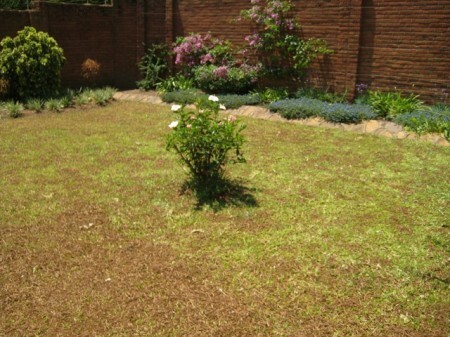 We spread it all over the lawn, and the grass is LOVING it! We’ll let it do its thing and post some final product pictures soon. During our lack of internet access for the past few weeks, we’ve grown grass! For all of you with brown winter grass right now, the grass is greener on the other side! Beautiful. 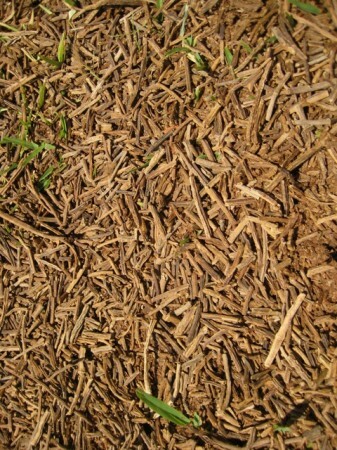 Mulch is God’s blanket. Any plans for fruit trees in the yard? When you said you’d gotten a truckload of stems from tobacco, I was seeing a pickup load, not the HUGE amount you did. Your photos and comments are so interesting. I go to Sojourners at Grace Church, and sing in the choir. 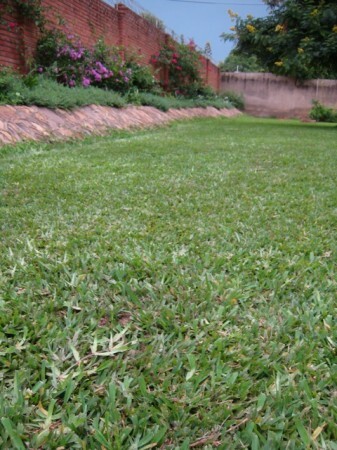 Your lawn looks great!